►Federal prosecutors on Thursday indicted a one-time top aide to former Cook County Board President Todd Stroger on charges that he solicited $34,700 or more in kickbacks. Eugene Mullins is only the latest Stroger administration official to face corruption charges. ►The message out of the first meeting of Chicago Mayor Rahm Emanuel&apos;s "infrastructure trust" board: We&apos;re new here. ►No one would ever mistake Gary, Indiana for London, England. But with loud “USA! USA!” chants going on, Hustle and Joe’s night club in Gary seemed like it was playing host to an Olympic event. And your WEATHER for today: It’s going to be really nice, and stay that way for most of the weekend. Today it will be mostly sunny. Highs ranging from the lower 90s to mid 80s along the lake. Tonight, mostly clear in the evening then becoming partly cloudy. Lows in the lower 70s except mid 70s downtown. 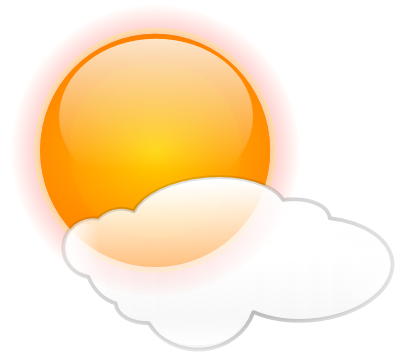 Then Saturday, partly cloudy, 20 percent chance of showers and thunderstorms in the afternoon. highs in the lower 90s - the highest heat index readings are estimated to top 101 in the afternoon. Saturday night, some showers and thunderstorms likely, lows in the lower 70s. Chance of precipitation is 60 perecent - things should clear up by Sunday though, partly cloudy in the morning then clearing, highs in the mid 80s. Sunday night, clear, lows in the lower 60s.